through IGA stores in Victoria Australia. Ready made and ready to roll. The perfect partner for wedding, birthday, novelty & Christmas cakes. up to 15 seconds (1000 watt). 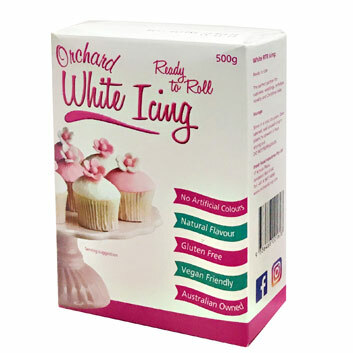 For improved flavour and finish, start with a layer of Orchard Almond Flavoured Icing.